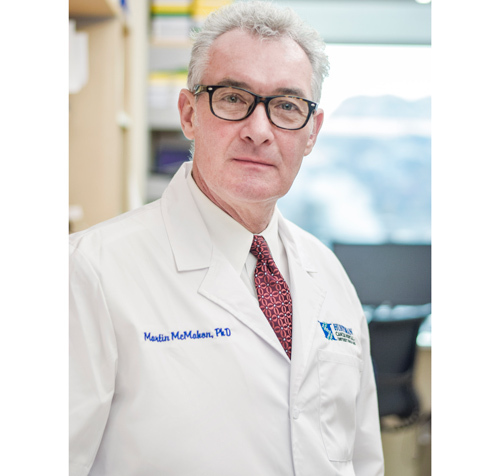 Combined Targeting of MEK1/MEK2 and Autophagy for Pancreatic Cancer Therapy: Team leader: Martin McMahon, PhD, Huntsman Cancer Institute at the University of Utah; co-leader: Eric Collisson, MD, University of California San Francisco. The team will test combined blockade of intracellular signaling via the RAS pathway, and autophagic recycling of the cells’ interior contents. Exploiting DNA Repair Gene Mutations in Pancreatic Cancer: Team leader: Alan D. D’Andrea, MD, Dana-Farber Cancer Instituteo-leader: James M. Cleary, MD, PhD, Dana-Farber Cancer Institute. The team’s goal is to evaluate DNA repair inhibitors in pancreatic cancer. It will seek to improve PARP inhibitor monotherapy by developing strategies that will combine different targeted therapies and have activity in patients with PARP inhibitor resistance.